Our weather for the last few days has been ever so wet, temperatures have lowered and the mornings are chilly now. During the day it is quite mild. 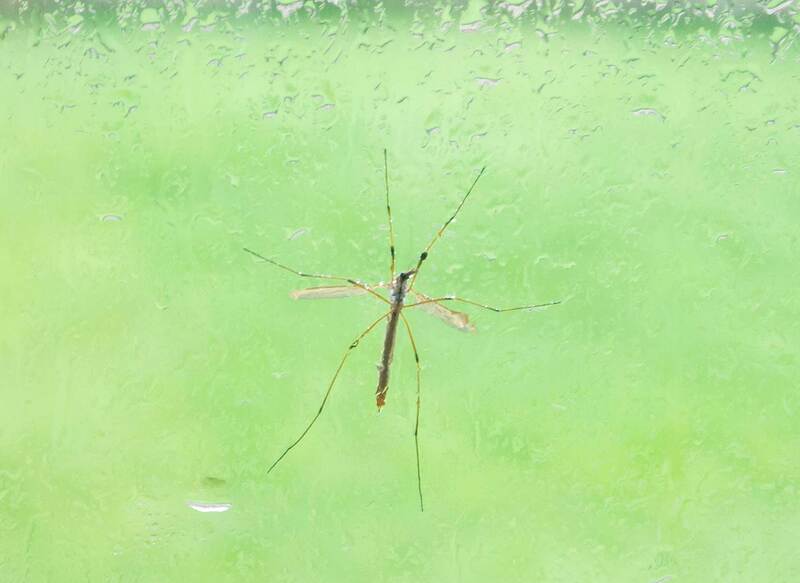 It is so wet today with what is called locally, sma’ rain falling, (very fine rain that wets you through, also like ‘Scotch Mist’) that even the Daddy Longlegs are desperate to get to the dry side of the window. 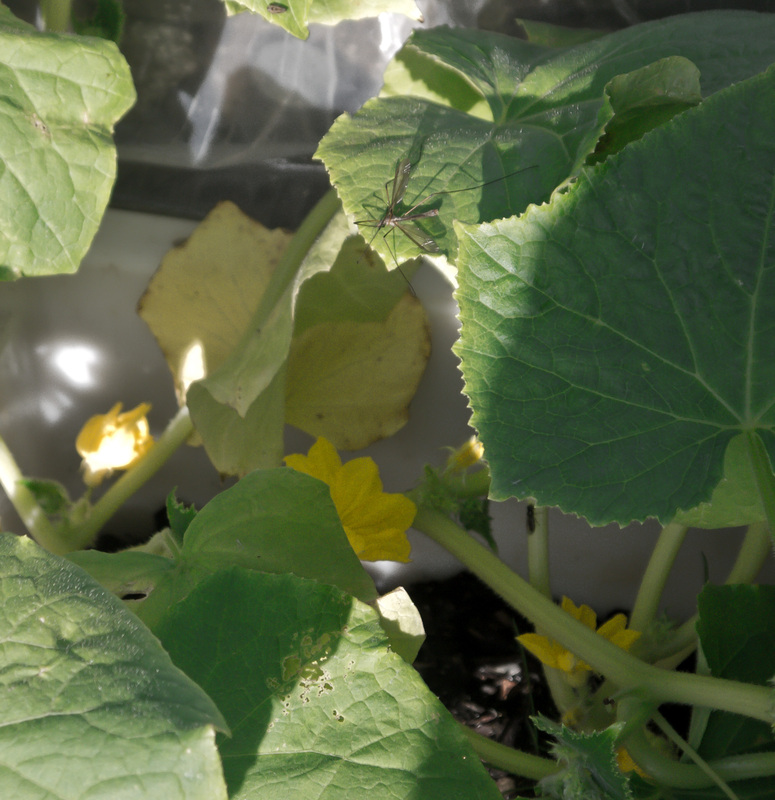 Here’s one I found introducing itself to leaves on a plant in my home-made cold frame, one dry sunny day a few weeks ago, taking advantage of the plants being exposed to the world. 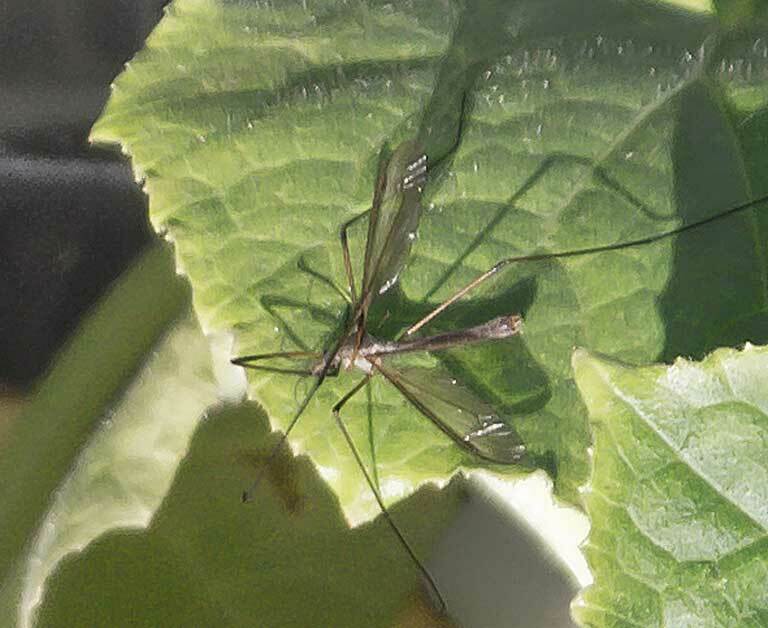 The sharp eyed amongst you, will also see this Daddy Longlegs on a picture below. At the weekend we drove 250 miles return trip to see a performance of Dunsinane, given by The Royal Shakespeare Theatre Company, (RSC) who are taking the play on a limited tour. The cast included some well known good actors. You could call it, I suppose, bearing in mind dramatic superstitions, ‘the second Scottish Play;’ the first one that actors don’t usually name, is Macbeth. Dunsinane is a story set post Macbeth, just after he has been killed. Lady Macbeth lives on. There is an inter-regnum, a gap to be filled and warring clans have to be brought on side to make alliances where there are usually none. Macbeth’s widow and her supporters are pivotal in this political scenario. It was evocative of the current complex situation in Syria. On our way home,we stopped off for a bite to eat in a favourite eatery. I was easily tempted to a dessert, the crowning glory of which was a home-made meringue. When it arrived, other customers and me gasped at the size of the meringue with the strawberries and coulis dripping out of a thick layer of double whipped cream sandwiched between the top and bottom of it. I didn’t have a camera with me to do it artistic justice, but, I can vouch for the fact it was amazing! Today, between showers, I pulled up two of my golden beetroots. One of these and another one grown in a different plot. The leaves of these beetroot are edible and make for a great delicate vegetable dish, when they are briefly tossed in oil with fried onion and chopped garlic. There’s a bit more space now for the cucumber plants. They’ve flowered, though, I don’t think there’s time for them to fruit. The flowers are very pretty. Their tendrils encircle anything and everything. Could they have been the inspiration for The Day Of The Triffids? And here’s a couple of demure flowers that are hiding. 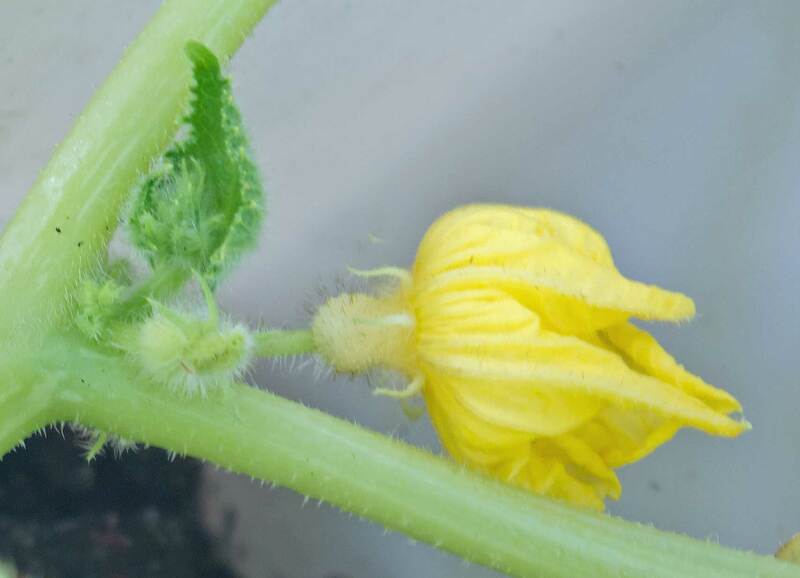 This entry was posted in Animals, Blogging, DIGITAL PHOTOS, Gardens and gardening, LEISURE, NATURE'S WAY and tagged beetroot, Daddy, Drama, Dunsinane, Longlegs, Meringues, plants, salad, sma'- rain, yellow. Bookmark the permalink. What a lovely post. Shame you’re having rain, we could do with some as the ground is very dry. What a great outing, followed by a delicious meal, you have me craving sweet stuff now. 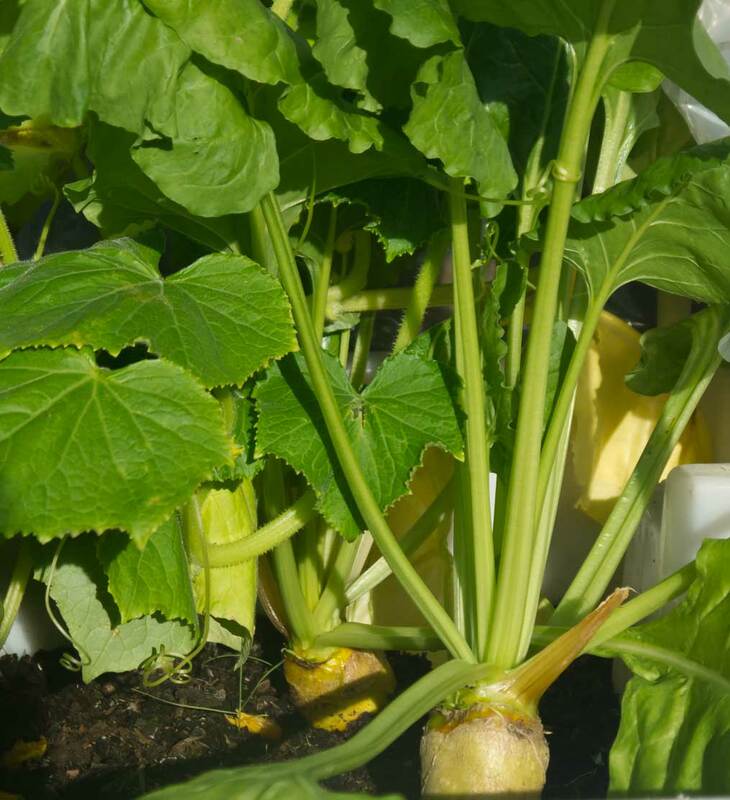 I’ve never grown the yellow beetroot, it does look lovely, and good you can eat the leaves too. It would be great to get a cucumber or two. I wonder if I should let all the flowers develop, or like tomatoes, reduce the level of growth. Thanks for your thoughts and comment. What a lovely post, and great photos – and yes, I spotted the DLL on the final picture! The Italians cook and eat pumpkin (?) flowers – I haven’t tried them but I bet they are delicious. How interesting about Dunsinane – you don’t give your reaction – how was it? That’s a long journey to see the RSC – but well worth it, I imagine. Dunsinane was powerfully acted, we expected it to be and well worth the effort of getting to the performance. Thanks for your kind words about the pix and the post. AND SO WITH A SMILEY…. A wife, a working mother trying to live in a mad, mad world. Pursuing my Wandering Ways With Words....Thoughts and Reflections!